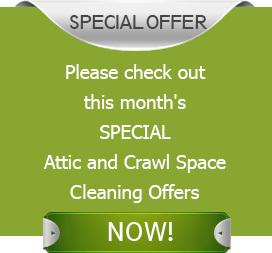 Bet it’s been months or maybe even years, since you last had your attic and crawl space cleaned right? These enclosed spaces are perhaps the most neglected by homeowners! The danger that a dirty attic and crawl space can present is real which can impact the health and well-being of your loved ones. Making these areas safe, clean and hygienic is therefore crucial. What could be better than to enlist the help of a reliable and efficient cleaning service to handle the menace? 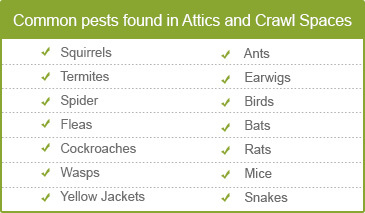 Call Quartz Solutions today for a thorough assessment of your attic and crawl space. We pride ourselves for providing customers innovative cleaning solutions and top quality services that surpass industry standards. That is why we are considered ‘the’ company to quickly and effectively solve attic and crawl space issues. Dripping ducts can inflate energy bills and increase the spread of microorganisms in the house/office. Insects like wasps, roaches and termites carry a potential health risk. Animals like rats may appear harmless but can cause destruction to property by eating into the foundations, ravaging insulation wires and more. Presence of mold and mildew that flourishes on excessive moisture. This ruins woodwork, which in turn increases the overall cost of maintenance. The first step towards a clean and well-maintained attic and crawl space is to walk-through the space and meticulously inspect key areas. Scanning the area for radon gas, a known carcinogen, is also vital. This review can help provide insights on the actual condition. The assessment will be carried out by one of our professional inspectors. You select a date and time that work best with your schedule, and it’s completely free. Once the analysis is complete, advice regarding options for moving forward will be discussed and our representative would be able to answer any questions that you may have. We value your hard earned money, hence our cleaning methods are cost-effective and transparent. We love Bergen County, New Jersey, and its wonderful community. Here at Quartz Solutions we strive to keep attic and crawl spaces in top-notch condition. This is our small contribution for the 32,500 residents of Fair Lawn, Bergen County. We specialize in cleaning solutions including tailor-made options for attic and crawl spaces. Hurry! Call Quartz Solutions at 201-205-2042 right away to grab a complimentary inspection.